We have a limited amount of Hand Made Shmurah Matzah available for purchase at Chabad. 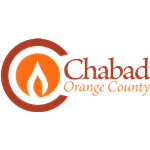 Conribute to our Passover Fund - You can help support all of our programs and fulfill the mitzvah of “ma’ot chittin” by donating securely online. Your help is greatly appreciated. Thank you! The Rolls-Royce of matzah is the traditional handmade variety, recommended for Seder use. Order your matzah today!